Young children are explorers of their worlds—worlds filled with unfamiliar things, first experiences, and tentative explanations. 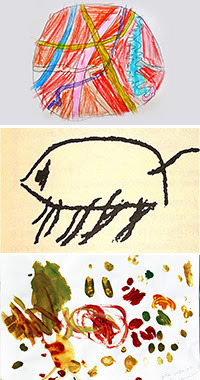 This issue of Occasional Papers invites readers to join a dialogue that questions long-standing traditions of art in early childhood–traditions grounded in a modernist view of children’s art as a romantic expression of inner emotional and/or developmental trajectories. The essays seek to re/imagine the idea of the child as art maker, inquire about the relationships between children and adults when they are making art, and investigate how physical space influences our approaches to art instruction.